Wonderful family estate in quiet location consisting of 2 homes on separate plots, a free-standing garage and numerous out buildings. 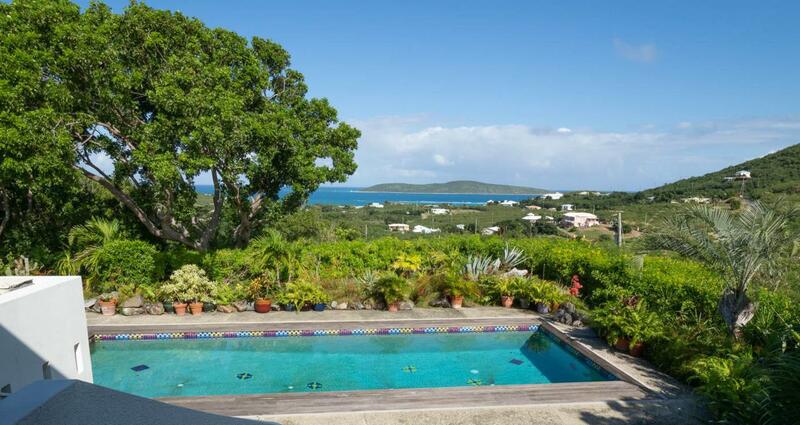 The 3 bedroom main house is perfect for entertaining with a coveted Buck Island view, sizable pool, hot tub, large rooms, chefs kitchen, study and gentlemans library. The expansive master suite includes reading nook, dressing room, access to orchid room and renovated bathroom with free standing bath. 800 sf separate outbuildings could be used as home office, workshops, media rooms or converted to additional living space. The second home is smaller and has a very quaint island feel with a huge 715 sf deck to take in the lovely sea views. This house consists of an open plan great room , 2 bedrooms, 2 bathrooms, a study and a car port. see supplement for more.